This is a long post! Feel free to skip past the verbiage to the lists! Thanksgiving is one of my favorite holidays! I LOVE focusing on gratitude, and taking the time as a family to thank God for how great He is, for the many gifts we’ve received! I believe that no matter how difficult life can get, there is ALWAYS something to be thankful for. My life is in a season of fullness and happiness, but I’ve had times that were not so easy to live through! I’m so thankful that regardless of what season I’m in here on earth, I have transcending hope in Jesus. Whatever happens in this life, I am looking forward to an eternity of joy with my Maker and the ones I love! This is my Low Carb Pineapple Cranberry Sauce. Find the link below. As much as I love the idea of Thanksgiving, I have to admit that our first gluten-free Thanksgiving was a bit overwhelming. I made some adjustments, and then two years later I also had to make it low-carb! 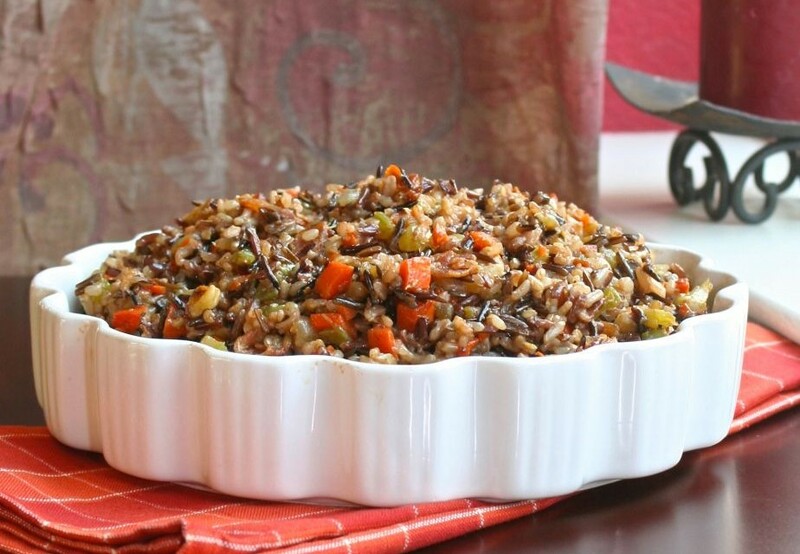 Now this year our Thanksgiving will be gluten-free, mostly dairy-free, and low carb. Sound crazy!? On top of that, we’ll be traveling to celebrate with family in Northern California! Well, don’t worry, I have a plan. I’m going to make most things we need ahead of time, freeze them, bring them up in a cooler, and reheat them when it’s time. Thankfully, turkey fits into my family’s food plan, so I don’t need to bring that! Before we get to the gluten free Thanksgiving menu I want to invite you to join with others who are making healthy changes. I’d love to walk alongside you in your journey towards wholeness and health! Jesus said, “I have come that they may have life, and have it to the full!” Freedom from food addictions is part of having a truly full life. Thanks for sharing this post! Please use this image for Pinterest. Desserts (Woohoo!) All of these desserts are gluten and dairy free, as well as Paleo. I’ve noted the ones that are also vegan. So, there it is! 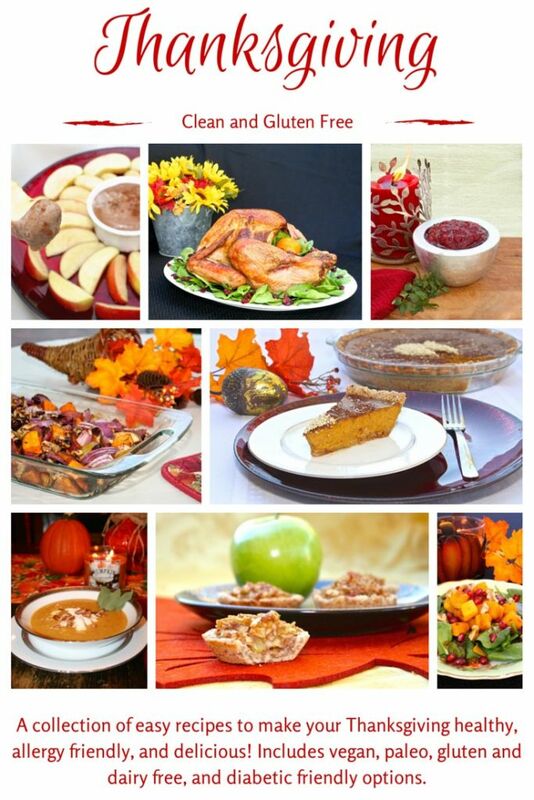 Hopefully this gives you plenty of options for a delicious, clean, diabetic friendly, gluten free Thanksgiving menu! Many of these recipes are also vegan and dairy free, so that should cover most healthy diet plans! 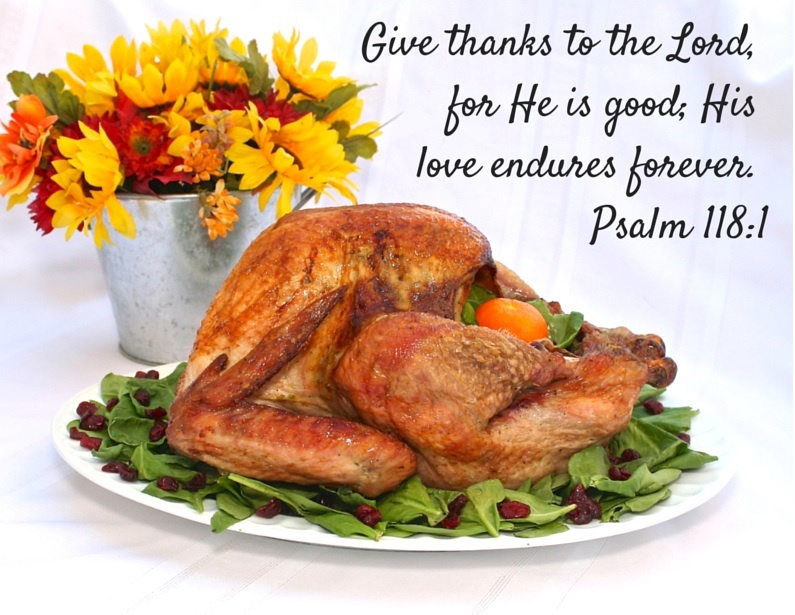 May you have blessed Thanksgiving, focusing on gratitude for the many gifts from God, and connecting with your loved ones! I pray that it is happy and healthy! Enjoy!